My dad recently adopted a cat, who came with the name Marbles. She's a mature shelter cat, from a home where the people could no longer care for her. My dad, who recently found himself pet-less for the first time in many years, has really enjoyed having Marbles around. I haven't met Marbles; my dad lives very far away and I don't see him often, but I hear nothing but happy news about their union. With his birthday coming up soon, I decided to try my hand at crocheting some cat toys to send to him for Marbles. A quick search on Ravelry comes up with a vast number of cat-toy patterns, everything from balls to food to little mice (which may also qualify as food). I thought it would be fun to make a few of the food designs, like a little smorgasbord for Marbles. The cat toy designs I chose are all by Melissa Trenado of Melissa's Crochet Patterns, including the Mini Cheeseburger, the Mini Hot Dog, and the Mini Donut (all of these are Ravelry links). They were fairly intricate to make, and not a little time-consuming (each took me most of an afternoon to complete), but they were fun too. The cheeseburger was the first one that I made. It consists of two bun-halves, a patty and a slice of cheese. Very McDonalds, I think. The hot dog may have been the most complicated of the three, and I think I used a little too much toy stuffing in the bun parts, but it looks chubby and cute. This one consists of two bun halves, a hot dog and mustard on top. I think the donut is my favorite. It's made in two parts, the cake part and then a frosting layer to go on top of the cake. I really liked crocheting the frosting; it has pretty scalloped edges. It's a bit hard to tell the size of these toys (I wish I had a cat handy), but here they are in relation to my hands. I think the hamburger and hot dog are about the same size, maybe three inches in their longest dimensions, while the donut is pretty tiny, about two inches in diameter. Each toy is made of individual parts that get sewn together with long yarn tails, which was nice because it was easy to make strong joins. I liked the hot dog bun technique very much; basically, you make four ovals (two outer bun sides in tan and two inner sides in white), then stitch them together and stuff them lightly. 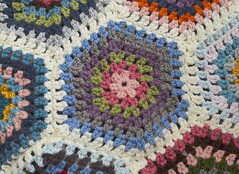 All of the toys employ crochet-in-the-round and amigurumi techniques (aside from the cheese slice, which is just a basic square done in rows). The bun was interesting because it's oval-shaped (crochet-in-the-oval? ), meaning you have to make stitches on both sides of your foundation row to start the oblong shape, instead of crocheting into a circle. Then you go around in circles afterward. I'd never done that before but I like it. All of my cat toys are made with scraps of worsted-weight acrylic on a G/6 (4.00mm) Clover Amour hook. There's a mixture of brands, including Caron Simply Soft (the tan yarn used in all three) and I Love This Yarn (the cream yarn in all three, the gold in the cheese slice and the mustard, and the burgundy in the hot dog), and Stylecraft Special DK (in the sprinkles on the donut; I stitched them onto the frosting before attaching the frosting to the cake part of the donut). I also used a small amount of polyester toy stuffing in each cat toy. Catnip was suggested as part of the stuffing but I don't have any, so Miss Marbles will have to do without. Do you make toys for pets? I'm really enjoying smaller crochet projects like these lately, after crocheting a barrage of blankets over the past few years. I don't really have pets to make toys for, aside from chickens, but I love the idea of making pet toys. Baby toys, too, just another reason I wish I'd been a better crocheter when my two were babies (all I could really crochet back then were big, flat, square or rectangle things - blankets, basically). Balls and hackey-sacks never get old, though, so I'm going to try my hand at those. Stuffed animals are always a hit, too. This food was really fun; there's something about making tiny versions of real things that just makes me happy, the same way dollhouses and their itty-bitty furnishings do. I think there may be some crocheted play food in my GB's future...I should probably replace that tiny donut she fell in love with (and tried to sneak off with) while it was here. They look great. I was going to suggest adding catnip as cats can't seem to get enough of it and it encourages them to play with toys but I'm sure Marbles will still love them without. 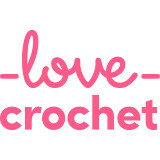 They're so cute, I'd never thought of crocheting toys for my cat. They are so cute! I bet Marbles, and your Dad will like them! Those are so adorable. I'm sure Marbles will enjoy batting them around. I've made small things but not for our kitties. The dog tries to eat all the cat toys. Tiny crochet always takes me twice as long as what I think it will. How sweet! Marbles is a very cute name! I just bought a knitting for kitties book. The snake appeals to me and the toadstools. Very cute! What a thoughtful gift for your dad! aww.. these are lovely! you are so very talented. while you are crocheting up toys for your daddys feline - i was knitting up a bunny for the belly. 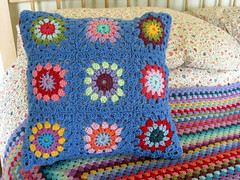 i wish i could crochet anything other that the non-ending granny square I am busy on *chuckle* - lovely work - thank you for sharing! So happy that your dad adopted an older shelter pet. Just what they both need. The cat toys are super cute -- I imagine they could be fiddly. Too bad you didn't have catnip. I have some here -- am thinking to try making some mice. I would like to make some things that I can donate to the shelter/cat rescue groups here.